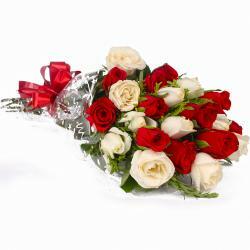 Product Consist : 18 White Roses with green fillers in Cellophane Wrapping with Ribbon Bow on it. 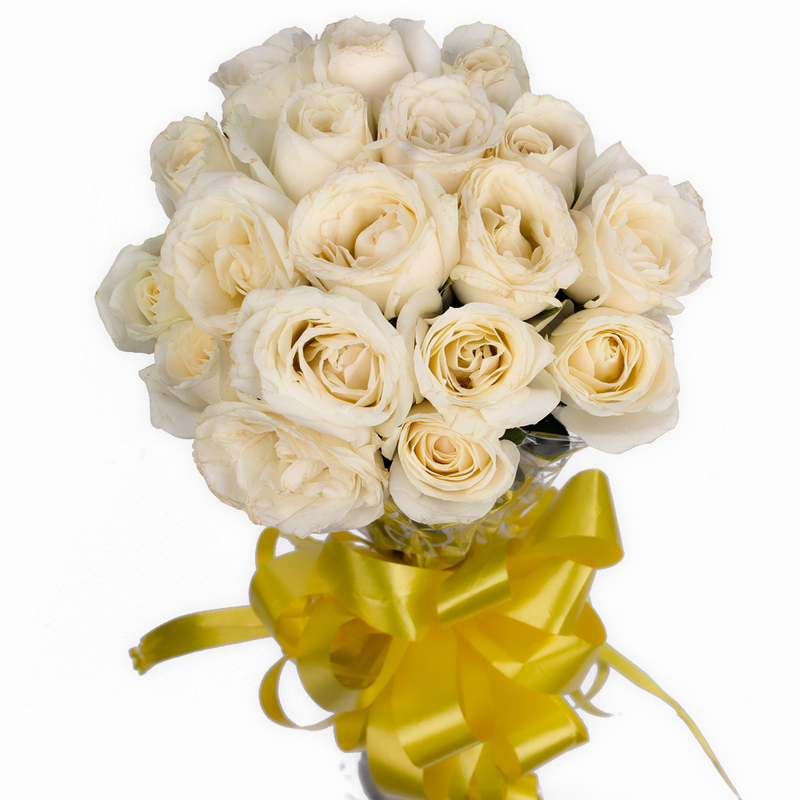 This bunch of white roses will certainly be a tempting acquisition to say the least. This bunch comes in a pristine and charming shade of white that will be a sheer joy to behold without a doubt. 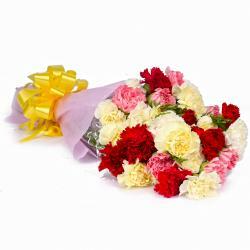 This bunch consists of eighten stem of roses and comes with premium cellophane packing for added quality and elegance. 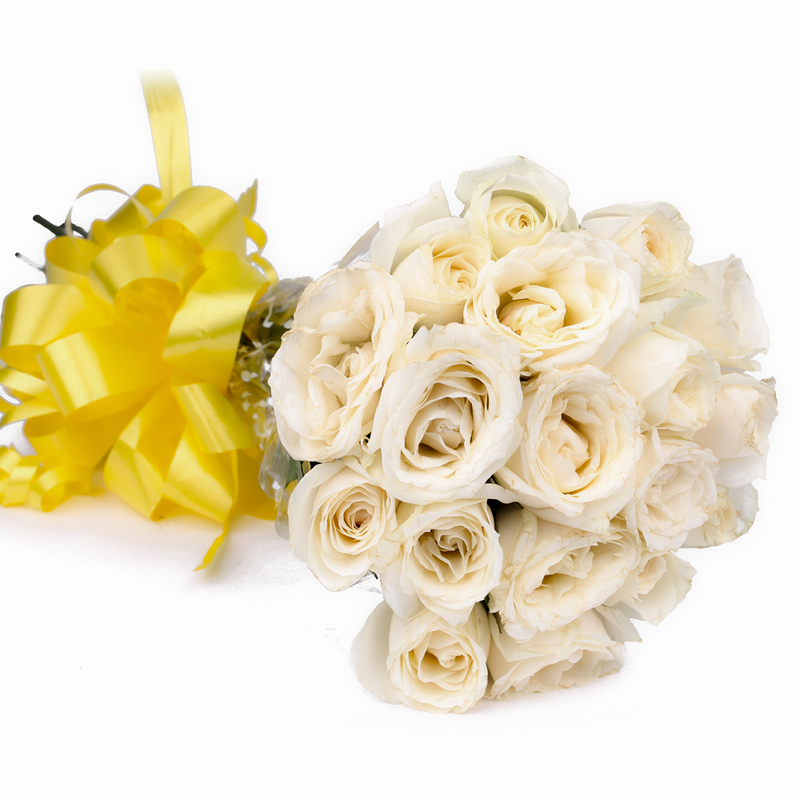 Additionally, there is a wonderful matching ribbon bow on top that only enhances the cuteness of this white roses bunch. 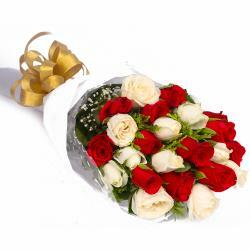 This bunch is a marvelous gift for occasions Birthday, Anniversary, Engagement, Pongal, Teachers Day, Diwali and Bhai Dooj among others. 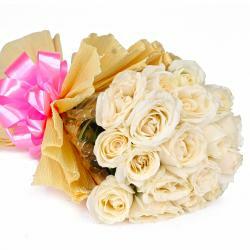 Product contains : 18 White Roses with green fillers in Cellophane Wrapping with Ribbon Bow on it.